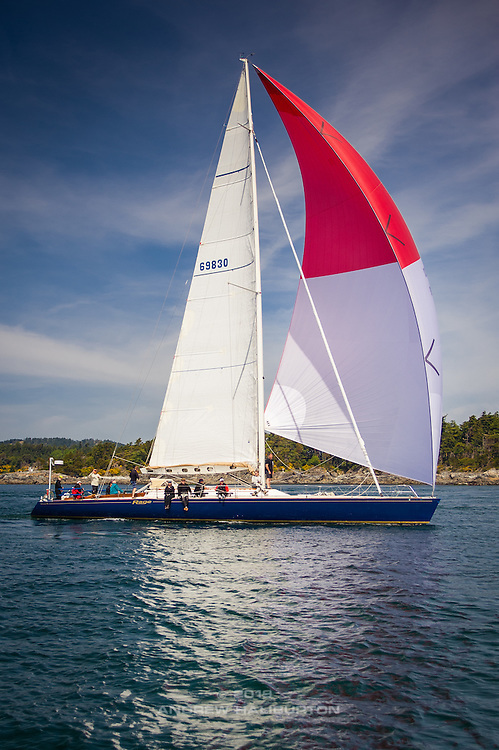 Margaret is an Ericson 33 designed by Ron Holland and based out of Portland. Skipper David Shepherdson says she is named after his mother who was a keen and successful dinghy racer. Hopefully those good genes got passed to David and crew who are excited to compete in the Oregon Offshore for the first time. David says the list grows longer each day, which is a common complaint, but don't worry David, the list stops growing and is considered "complete" as soon as you leave for the starting line! 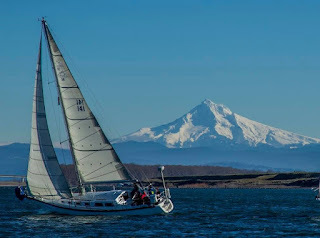 Alan Bergen and crew on Thirsty are in for Oregon Offshore 2019. Thirsty, a C&C 35 MKIII should be familiar to anyone racing in Portland or following the Offshore over the past several years as they are very active racers. 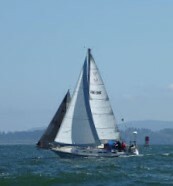 Alan has competed in more than 20 Oregon Offshores and raced in Southern California before that. With the same crew for the last three years, and with three podium finishes, we can expect a competitive team to hit the starting line. 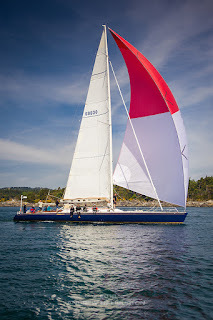 Chinook is a Beneteau Idylle 11.5 skippered by Tod Bassham. Yay for first timers and another cruising class entry! Tod reports their main goal is to have fun getting to the northern cruising grounds, but with a performance hull based on a First 35, and with several Oregon Offshore and Swiftsure veterans on board, we can expect some competition coming from this group. While this is Chinook’s first time competing in the Oregon Offshore Tod and Deedie have been sailing and racing a progression of boats on the Columbia river since 2008. Given Deedie is responsible for at pushing for least one of the upgrades because she wanted a faster boat, and with a stated desire not to be late to the party in Victoria, this sounds like a fast and fun program. Riva is back, or is she? 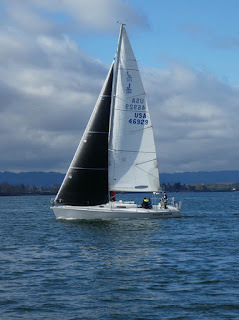 Same boat name, same skipper, but not recognizable as the beautiful blue J/46 that has graced the Oregon Offshore for many years. 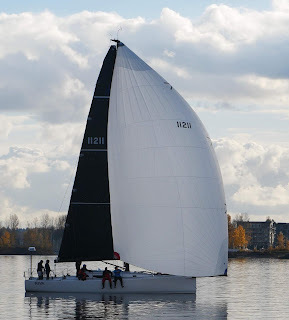 This year Riva is the still beautiful, but brand new J/121, skippered by Scott Campbell and crewed by many familiar faces. 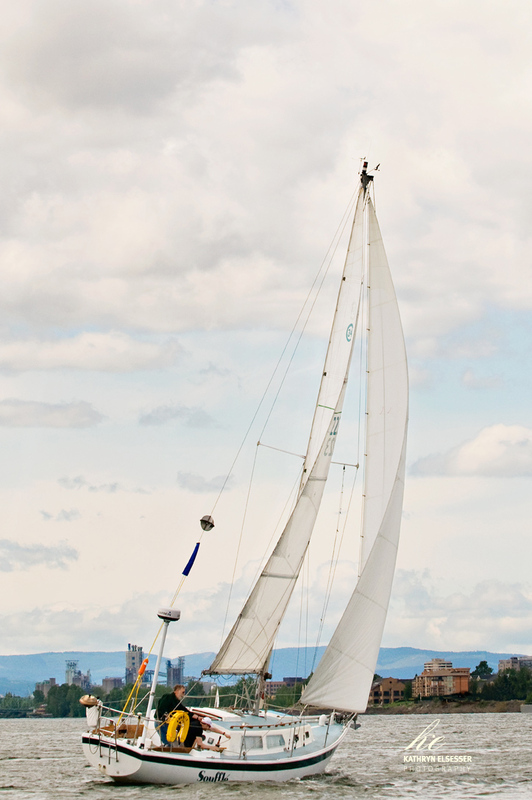 The old Riva had her share of success in the Oregon Offshore, including first overall, first to finish and several class podiums through the years. 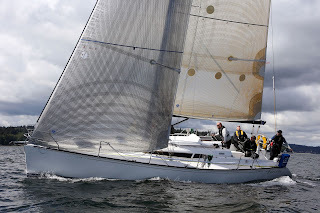 Throw in the experience of three Pacific Cups and we can expect more of the same from the new Riva. In fact they could well be even more of a threat with less furniture down below in this boat designed to be an offshore rocket ship. 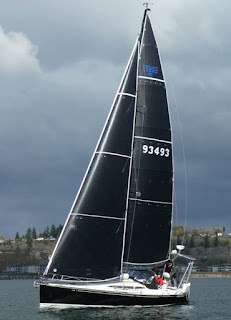 As in the past Riva has an aggressive racing campaign planned with Swiftsure and Van Isle 360 on tap following the Oregon Offshore. Is your idea of cruising staying up all night, wet, freezing cold and possibly seasick? If so, you can and should join Souffle in our cruising class! It must be fun, because they keep coming back year after year in this Cal 34, even when they've been our only cruising class entry. 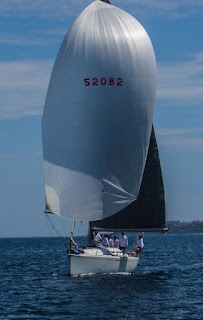 Phil shares Souffle's racing history as this,"I would note that her first Offshore in 2013 we set the record for the slowest last place boat to finish, and in 2014 we set another record, this time for being the fastest last place boat to finish, both of which are sources for pride for vessel and crew." We love having Souffle and it would be great if some other cruising class boats would join in the fun. Seriously, getting your boat north within relative company of other boats is a great way to get to the San Juans or other locations further north. If you are thinking about it, let us know and we'll help you find a way. One Design that is. 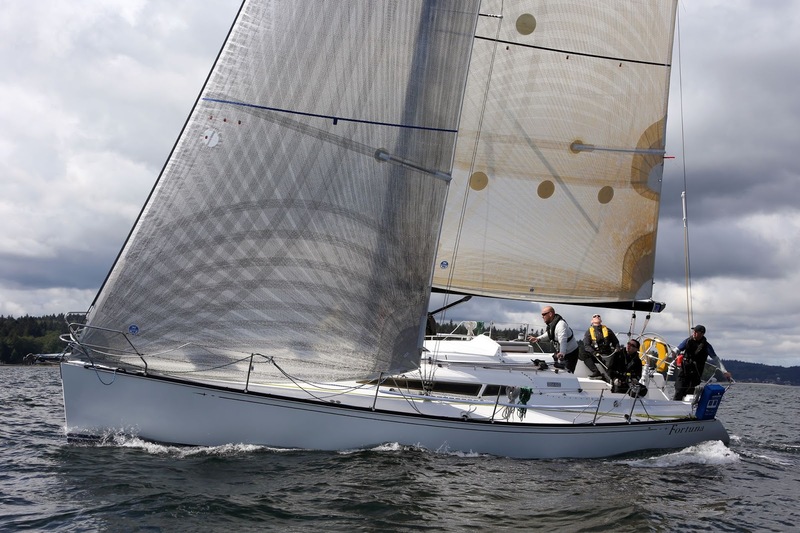 The third J/105 to enter is Escape Artist. 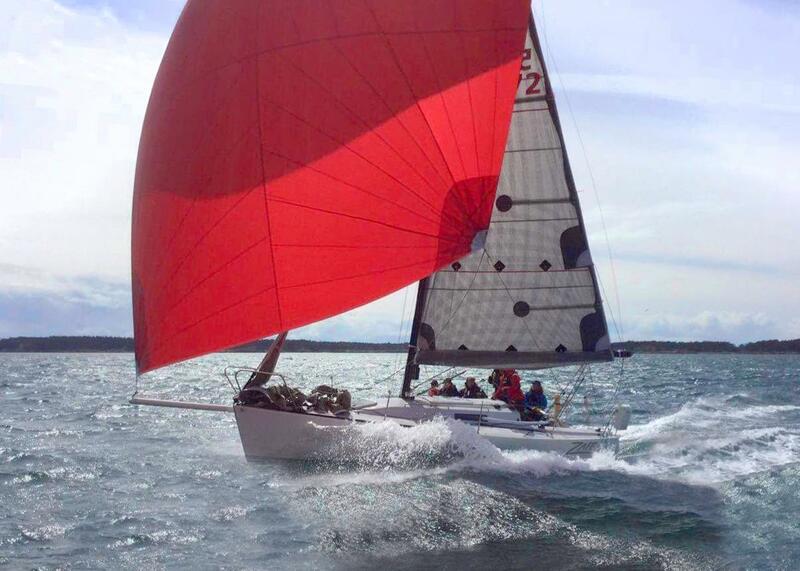 Their entry brings the J/105 count to 3, meaning they will have their own fleet. No complaining about ratings in this group! OK, at least until they start comparing themselves against the overall fleet. Escape Artist reports they are probably the "youngest" of the competitive J/105 teams from Portland, OR, which is no doubt helped this year by the 16 year-old son of another J/105 owner crewing with them. 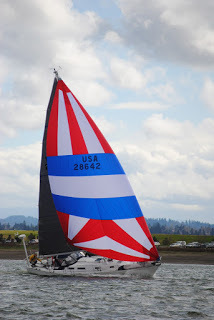 Don’t be fooled though as there are several Oregon Offshore and Swiftsure veterans on the team this year with Dana Sibilla as skipper. 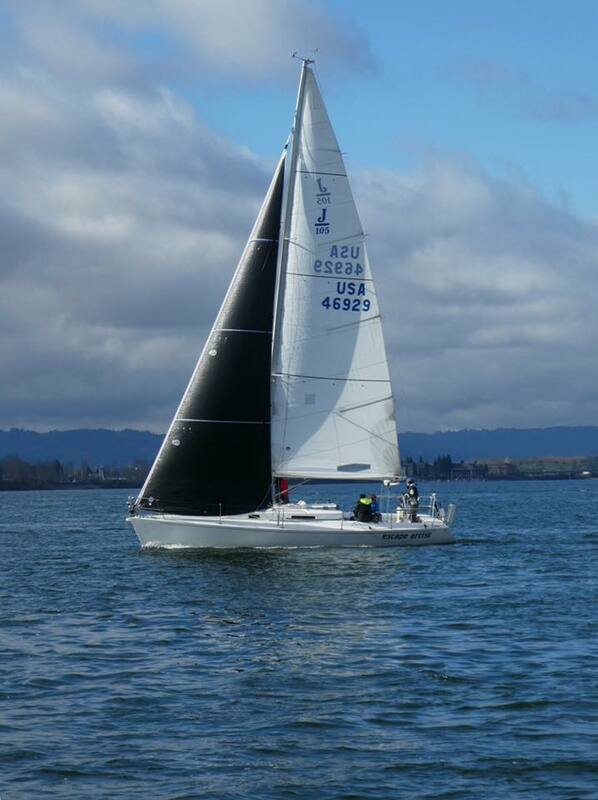 Dana says they are proud to be a part of the J/105 Pacific NW OD Fleet 20 and compete almost weekly year-round. Fresh off a double-handed Pacific Cup and delivery from Victoria to San Francisco, what will Doug and Mary do with all the extra hands on Abstract? Surely they will enjoy the help and more company even if it will be a little crowed onboard. 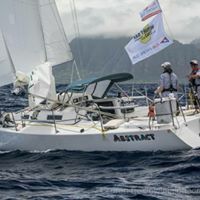 This will be Abstract's third Offshore and they are thinking the third time will be a charm. This is our second J/105 registered for an expected one-design fleet. 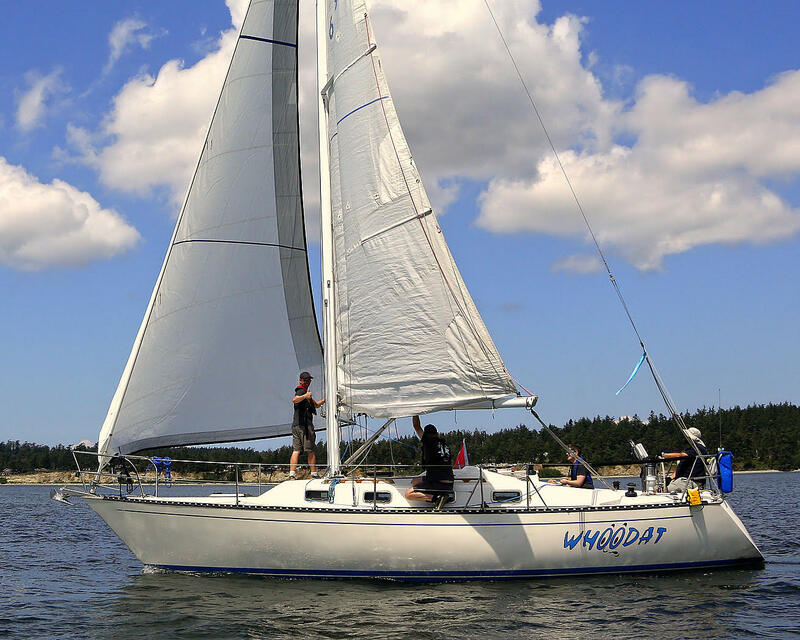 With another 10 or more active J/105s up in Seattle, we’d love to see some of these crews venture beyond the buoys and join us on the ocean in this surprisingly versatile and capable boat. This next entrant really doesn’t need an introduction to anyone following Pacific Northwest racing over the past 25 years. Built by our Title Sponsor, Schooner Creek Boat Works, and launched in 1993, Rage has been a perennial Oregon Offshore competitor, also competing regularly in Swiftsure, many Hawaii races and even a race to Tahiti! She has collected more than her share of hardware over the years, with a course record or two thrown in for good measure. When Rage sold a few years ago, some of us were concerned she might disappear from the Northwest race scene. 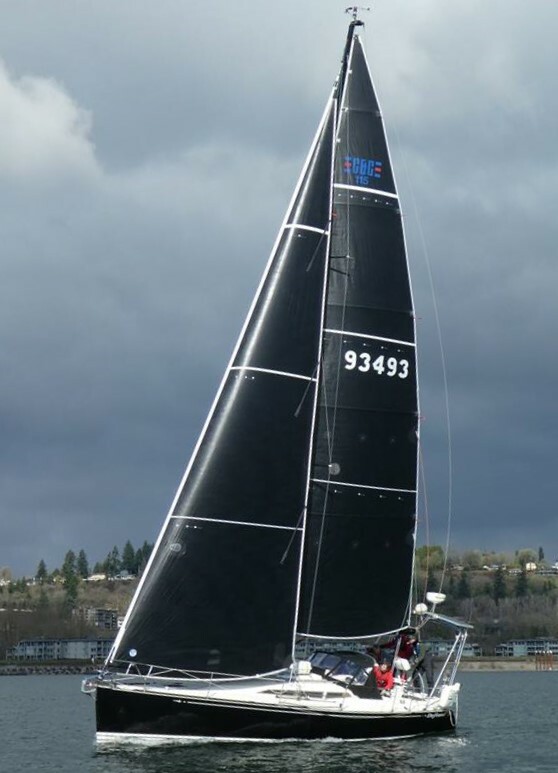 However, we were pleased to see Dave Raney continues to race Rage in the Oregon Offshore and Swiftsure and is even fresh off a 2018 Pacific Cup. 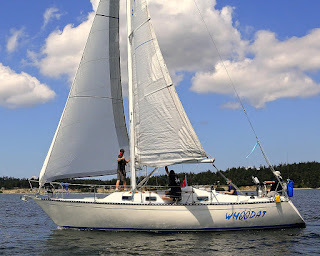 Crewed by sailors from Portland, Seattle, San Francisco and Victoria, we will see some familiar faces from years past. At 70’ long and built for speed, Rage is a line honors favorite wherever she goes. The entries are rolling in now, and while each one is exciting in its own right, we love first time entrants. Envolee, and their crew known as “Shut up and Drive” is a first time entrant, and that would be enough to highlight here. 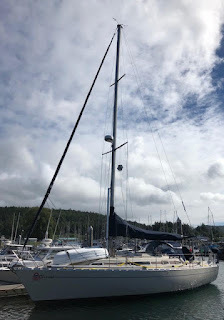 However, this entrant is especially exciting to organizers because one, Nathalie is our first woman entrant this year, two, Envolee is based out of San Francisco, making them the furthest travelled, and three, they are competing in the Oregon Offshore Race as a primer for R2AK. The crew has been racing offshore together for years and welcomed the Figaro 2 Envolee to the family in 2016. 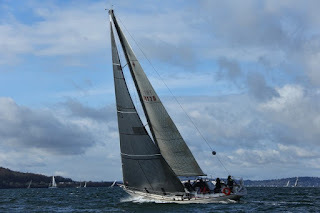 Races they have done together or separately include Single-Handed Transpac, Pacific Cup, Coastal Cup, Solitaire du Figaro, Vendee-Globe and the Route du Rhum (go back and read that again….). 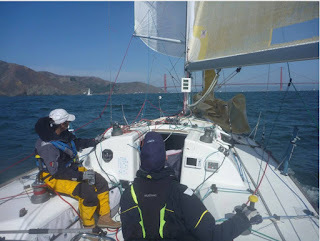 Her skipper was named Yachtswoman of the Year in 2014 by the Saint Francis Yacht Club for winning the NorCal Single-handed monohull season including competing in that year's single-handed Transpac. 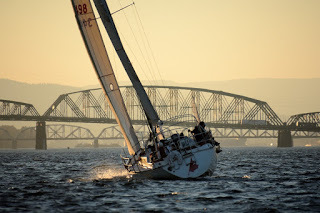 They hope that Sail Like A Girl will enter the race and is challenging them for a pre-race match race in Astoria. The organizers agree and encourage other R2AK participants to consider joining in, please let us know how we can help make that happen! Is it the love of the ocean, the comradery, the challenge or love of something else that keeps these guys coming back? While True Love, a 44.7' Spencer 1330, might not be a familiar boat name to those watching the results from years past, the skipper and crew should be familiar. This will be the crew's fifth OOR, the previous four were on the Catalina 38 Peregrine. 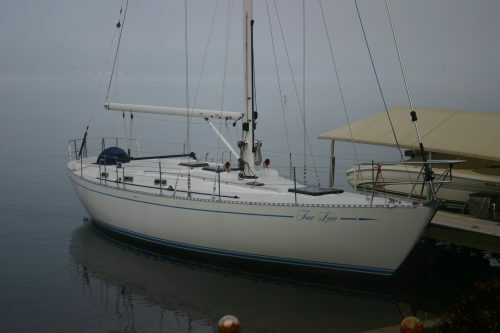 True Love was owned by the skipper's family in the early 90s, and after two subsequent owners and severe neglect the boat was going to auction in 2015. Steve and Sherri purchased her and started what ended up being a 3.5 year refit. We look forward to seeing the results of that 3.5 of years of hard work in person. If the photos are any indication, we are in for a real treat! In 2014 Free Bowl of Soup had an unbelievably fast race, but finished 2nd overall to Blade Runner. Just like in 2014, Free Bowl of Soup is 2nd overall, but this time it is 2nd to sign up for Oregon Offshore 2019. These guys are anxious to get back out there after the propeller fiasco of 2018 when they hit a log and sheared off their propeller on the way to Astoria. 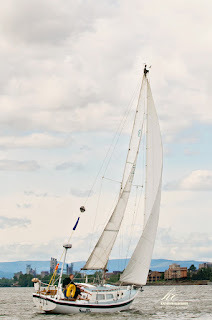 Despite herculean efforts to replace the prop before the start, they finally had to do the Oregon Inshore (by trailer) to make it to Victoria. This will be the Soup's 6th Offshore, with their Oregon Offshore highlight being an overall win in 2017. 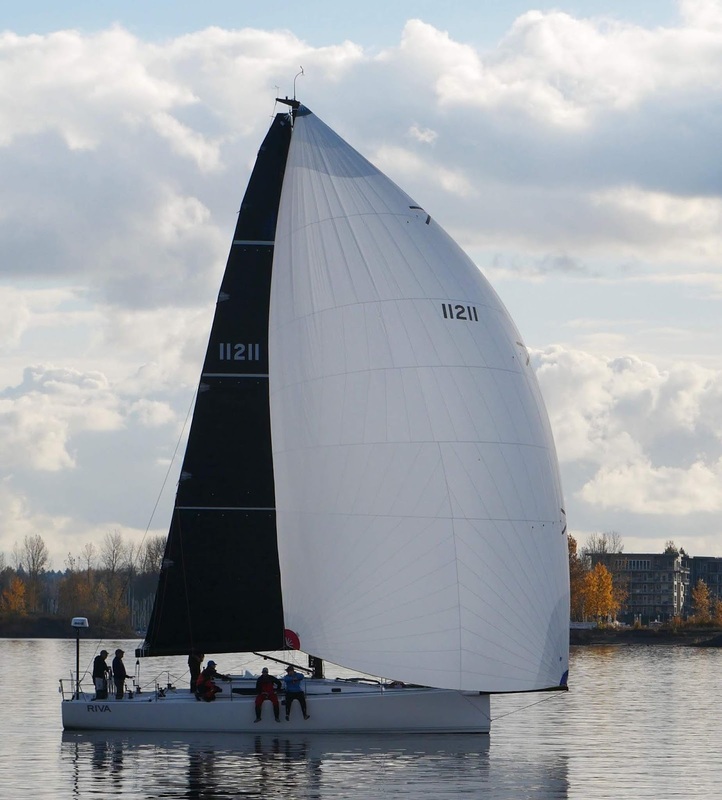 This boat and crew pride themselves on being very active racers, competing in races throughout the Northwest and beyond, including a class win in the 2014 Pacific Cup. 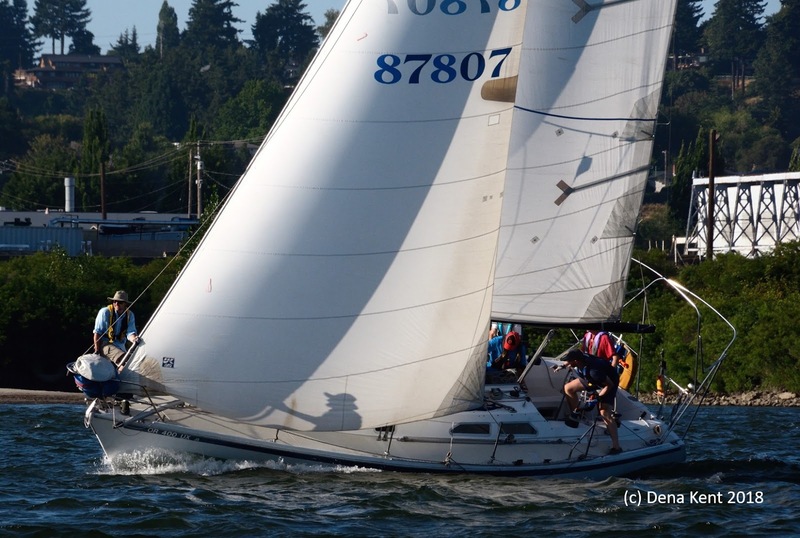 Image, Catalina 38 from Kirkland, WA was the first paid entrant in the 2019 Oregon Offshore! 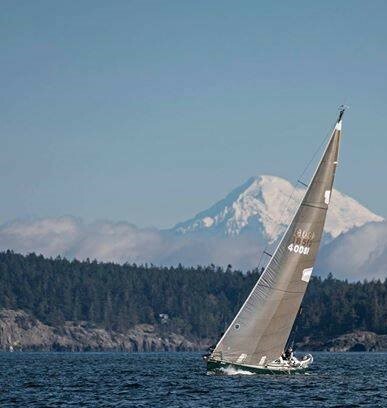 This will be the first Offshore race for Image, but Image has participated in Swiftsure 2016, 2017 and 2018 as well as many races in the Seattle area. 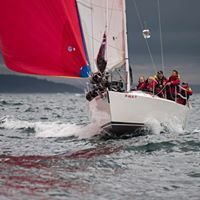 First to register may not be the only first we report for Image, as they won their Division in the Swiftsure Lightship classic in 2018.